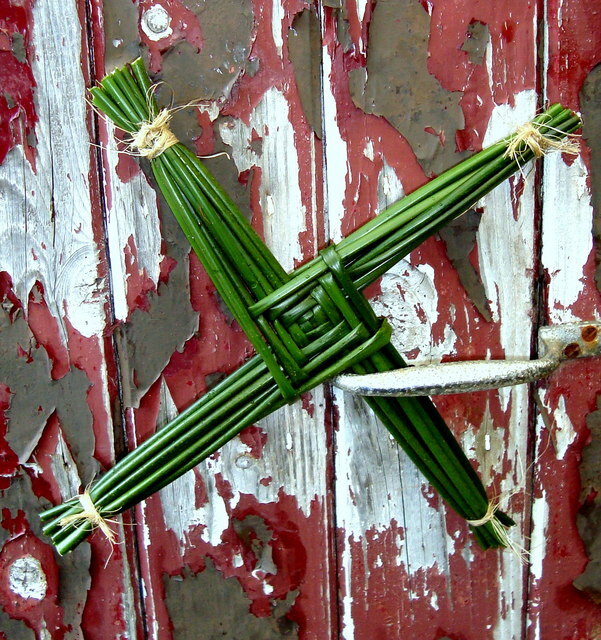 The Brigit's Cross is made from rushes on the 1st February, Lá Fhéile Bhríde (St. Brigid's feast day), otherwise known as Candlemas. Originally this was the festival of Imbolc Link ; celebrated the first stirrings of Spring & was dedicated to the Celtic Goddess Brigid, goddess of poetry, healing and smithcraft, also associated with holy wells, sacred flames, and healing. It was traditionally believed that a Brigid's Cross protects the house from fire and evil. It possibly derives from the pagan sunwheel.